I know you’ve got some printer PTSD. You’ve probably bought several throughout your life that did nothing but make you angry and miserable, up to the point that when it finally came time to buy an overpriced replacement ink cartridge, you just threw the whole thing out to the curb. But friends, it doesn’t have to be this way. You can have a healthy relationship with your printer. All you have to do is buy a Brother laser printer. It’s monochrome, so you can’t use it to print photos, but otherwise, it’s basically perfect. It’s fast. 24 pages per minute fast. It’s wireless. And it even includes AirPrint and Google Cloud print for your mobile devices. It’s reliable. There are no carriage jams, because there’s no carriage. It prints on both sides, without doing that thing where you scramble to put the paper back into the tray and inevitably screw up and put it in upside down. It’s affordable. And replacement toner is cheaper than ink too, and never dries out if you don’t use it for a long time. So do yourself a favor. 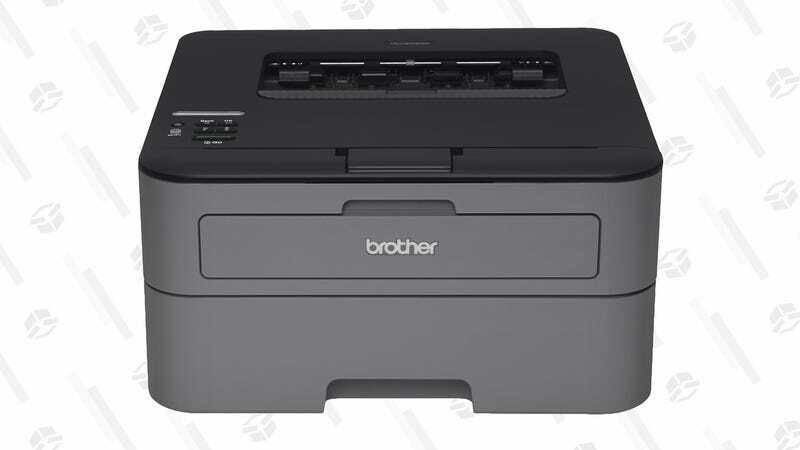 Take that inkjet sadness box to Goodwill, and order this Brother printer for $79 today.